If you ever watched behavior of outdoor cats you may have noticed how skilled they are in finding and catching prey. Yes, all the cats are predators and all of them definitely love meat. Also, there is no secret that some meats are even more flavorsome and tantalizing than others. Such is ham, that’s why so many people like it for its taste. And it’s quite natural for us to share some of our (probably) favorite food (ham) with our favorite pet. But before you do this you might be wondering do cats eat ham and is it safe to share. We have a huge variety of canned cat food with different tastes, from liver to chicken, but suddenly there is no canned ham for cats. Also, you’ll fail to find ham among the ingredient on a tin of your favorite cat food. So can cats eat ham, or maybe you should avoiding giving ham to your furry friend? Let’s find out. Can you give cats ham as a part of their diet? Actually a true cat’s diet should mimic cat’s eating in natural condition as close as possible. This is the reason why the cats sometimes can be so crazy about all this cans of meat. 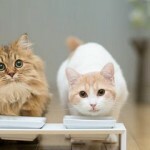 In natural condition cats eat a moisture-rich, meat-filled diet. They are true carnivores and only need meat in their diet. That’s why even dry food for cats is still engineered to provide the protein cats would be consuming in the wild nature. So, if the cats need meat anyway, then it is okay to feed them with ham? Don’t hurry with conclusion. Whether, you can feed your cat ham is actually not as simple as it seems on first look. The thing that makes ham not good for the cats is high content of sodium in ham. And cold cuts of ham are especial high in sodium. 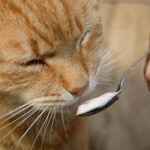 Sodium is unwilling for cats due to specific of their diet. Association of American Feed Control Officials or AAFCO recommends feed the cats with food that only have less than 0,2% of sodium content. And ham goes way far beyond that. First of all its great source of protein since it is derived from true animal meat. Ham also contains Taurine, important for cats. They can’t produce Taurine by themselves and ham will help them. Why Taurine is so important? Because cats need it for a stronger heart and digestive system. Ham contains Thiamin and Vitamin B6. 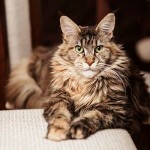 They play an important role in our cat’s body. Other nutrients in ham include Niacin, Phosphorus, Copper and Selenium, which are also important for our pets. But this is only about Grade A ham, a lot of ham sold in the market is made with low-quality meat and completely not healthy for your cat, the nutrients mentioned above will not be incorporated in a low-grade ham. So let’s make a conclusion about question: can you feed cats ham safely. 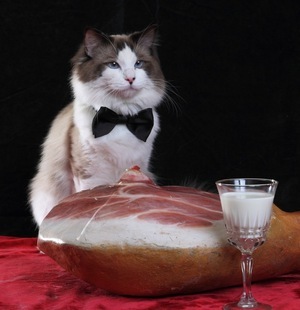 The sodium levels in ham pose threat to healthy cats; in order to decrease it you can cook ham, raw ham contains higher level of sodium. 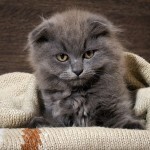 As well you should check with your vet if your cat has some health issues. Remember that only high quality ham contains healthy nutrients for your cat. Give ham to your cat only in small quantities, we recommend no more than half a slice, every two or three days.